What causes the death of dopaminergic neurons in Parkinson’s disease? 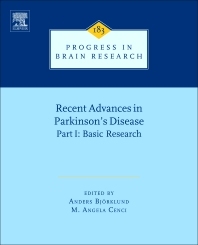 This first volume starts with an overview on current perspectives in genetic research and on the molecular mechanisms of neurodegeneration. This is followed by a selection of hot topics in pathophysiological research, from molecular studies to system-level investigations based on in vivo electrophysiological recordings and neurocomputational methods.